Wolves Fans' Verdict: What a performance! Wolves fans give their say on a memorable win over Chelsea at Molineux. What's your verdict on the match? 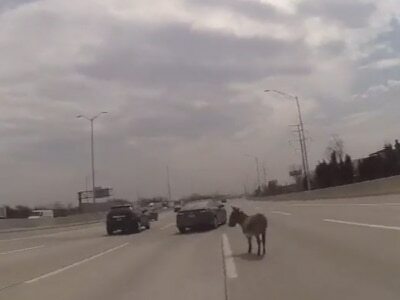 This one made the trek through post-work traffic well worth the effort, didn’t it? On the back of a poor run of results which had culminated in two poor performances in defeat against Huddersfield and Chelsea you’d be forgiven for expecting 3rd-placed Chelsea to arrive at Molineux and coast to victory. Few would have predicted we’d inflict only a second defeat of the season upon them. We started with a slight tweak to our usual 3-4-3 formation with Gibbs-White playing ahead of the midfield duo of Moutinho & Saiss while Jota joined Raúl at the top of the formation. We started with a good tempo and a high press which helped us get a good foothold in the game and give as good as we got from Chelsea. Gibbs-White showed his talent with one good run and pass but it was his work without the ball in tracking Fabregas that was just as pivotal as it helped restrict the key position in Sarri’s system. It was galling to fall behind in the way we did. When you’re on a bad run it seems everything is against you and, when Loftus-Cheek’s speculative effort was diverted from heading straight down Patricio’s throat into the bottom corner by Coady, it did feel a little like ‘here we go again’. Watford, Arsenal, Huddersfield and Cardiff have all scored from outside the area against us recently with Chelsea now joining them. It’s getting quite annoying! Credit to the players though, they didn’t let their heads drop, despite the best efforts of the man in the middle to stop us getting any decent possession by blowing for a free-kick every time we put a tackle in. This just helped stoke up the crowd who responded by raising the noise levels throughout the game. Another great run and pass from Gibbs-White slipped in Raúl to equalise with a great strike across the keeper and the crowd responded by increasing the volume again. Quite unbelievably, given our recent wastefulness in front of goal, we went ahead by converting our second shot on target into a second goal! It was brilliant to see Jota cap what was a great individual performance by finally breaking his Premier League duck. Hopefully that will give him the confidence to kick on and return to something like the form he showed last season. After going ahead we managed the game well, allowing Chelsea to have the ball in non-threatening areas and pressing well when they encroached upon our defensive zone. It was thoroughly impressive and we fully deserved the victory. Who played well - and who failed to impress? An excellent team performance this one and all fourteen players involved played their part in sealing the victory. Standout performances came from the exceptional Gibbs-White, who was fully deserving of the standing ovation he received when his first Premier League start came to an early end, Doherty, who got forward we’ll all evening to cause Alonso problems but also did an excellent job of keeping Hazard largely quiet, and Bennett, who made one superb tackle to prevent Willian getting a decent shot away, helped Doherty deal with Hazard and demonstrated a new attacking weapon with his long throws. What's your verdict on the match? What a kick in the teeth for the doom mongers and naysayers, eh? The seeming scapegoats of recent weeks really rose to the occasion expertly marshalled by the best manager we have had since John Barnwell almost forty years ago. Rui Patricio in goal pulled off a worldie and Raul Jimenez and Diogo Jota found that clinical streak that they had been accused of not being able to find. And whilst Loftus-Cheek was the pick of their star-studded midfield he was a mere shadow of Morgan Gibbs-White whose star shines brighter each week. An English midfield of the near future perhaps. What's your verdict on the match? What crisis? Cometh the day, cometh the man. Step forward Morgan Gibbs-White, Ryan Bennett, Diogo Jota and Romain Saiss. Nuno was forced into further changes with Neves suspended. He proved to be spot on both with his team selection and his tactical substitutions during the second half. Chelsea play quick, slick football and are good at keeping the ball. Wolves never gave them a second. Our midfield and wing backs were definitely more “at it” than we have seen recently; breaking up their patterns of play and winning the second balls. The back three were superb too. Playing a high line, Chelsea hardly got a foot in our box and so were restricted to long range efforts. It was one of these that took a cruel deflection, for their goal, with Coady trying to head clear. This could have taken the wind out of our sails, with confidence low and on a losing run. Molineux was rocking, but not many would have backed Wolves to win from 0-1 down. Chelsea were on top for the remaining first half and most fans were happy it was still only one nil at the half time whistle. There were signs of things to come though. Gibbs-White was growing into the game, playing in a forward central role he was not only good at holding the ball, he was also turning and taking on the Chelsea defence while in possession. Saiss was doing the business back in his more usual defensive midfield role. He was breaking up lots of Chelsea possession, making tackles before they got close to any danger. He didn’t let a first half booking detract from this and continued to put in challenge after challenge. Bennett was superb, following his recall, and made a last gasp tackle in our box, towards the end of the first half, which saved a certain goal. That tackle saved the game for Wolves. We started the second half brightly, and there was no doubt that an equaliser was deserved. Moutinho to Gibbs-White who threaded the ball through for Jimenez. He’s always more decisive when there’s no time to consider the options. Only one option here and he buried it, the ball going through the legs of the keeper. There was a real sense that we could do something special now and noise levels notched up a couple of decibels. The fans were our 12th man which levelled things up, as the referee was wearing blue all night. Jonathan Moss must be the worst Premier League referee there is. Blowing up for every tackle and 8 yellow cards. This was not a dirty game. With Chelsea still licking their wounds, we hit them with the sucker punch. Moutinho was instigator again, this time playing a wide ball to Doherty, who made a perfect cross to Jota who scored. Two goals in four minutes and the game was turned on its head. There was still around half an hour to go, but we remained steadfast and kept our discipline to see victory. We even saw Dendoncker towards the end as a defensive midfield substitute. Chelsea were pushing us back, but didn’t really get close to goal and we looked comfortable during the five added minutes. Interestingly, when Dendoncker came on, a tiring Moutinho was pushed further forward, to provide a further outlet for the ball. Nuno has faced questions about his Plan B. They were answered positively last night. Who played well - and who failed to impress? It’s hard to understand the difference between this performance and the last two games. Everyone stepped up. Saiss did everything that we have been lacking in midfield lately. Very impressed with his tackling and energy. Moutinho also did very well and started the moves for both goals. Nuno has something of a selection dilemma ahead if Newcastle; though I can’t see him leaving Neves out. Vinagre and Doherty both had good games, coping well against dangerous attacking players while getting forward themselves and getting plenty of the ball out wide. Doherty made a precision cross to Jota for the winner. Jota showed glimpses of his form of last season. Let’s hope it’s just the start. The goal will do him good. Bennett looked every part the Premier League defender showing an exemplary attitude with such a performance, after being dropped. My head says Bennett for Man of the Match, but my heart awards it to Gibbs-White. To start this game was a massive step up for him and a show of faith that Nuno has in him. He played forward and caused problems for Chelsea. His pass to Jimenez was just the type of ball he will thrive on. It was perfect. What's your verdict on the match? Ten days ago we witnessed our worst performance under Nuno. Tonight we probably saw his best result. Five days ago we lost after being a goal ahead, tonight we reversed that. When was there last so many happy smiley faces on Waterloo Road? There was such a lot different about this game. MGW made his first start at this level, we saw our expensive signing from Belgium in a League game. We also saw Saiss in midfield and more pleasingly last season's top scorer Jota playing like he did last season. Meanwhile there was a game going on and even our rigid 3-4-3 formation had some flexibility within it. MGW sometime the front man, sometime the back man on the front three. Without the ball, often, we were closer to a 5-4-1 line up. Chelsea started like a team really high on confidence, we did not. They looked to have more players than us, and I don't mean the referee who was willing to favour them and dished out numerous fouls against us. Their movement in possession made for a high tempo and we looked stretched. We were failing to keep the ball with Boly in particular giving the ball away four times inside the opening ten minutes. Although Jota and Vinagre were getting forward well, with the latter putting in a well struck dangerous cross, they were crowded out. At the other end we were drawn to the ball which left too much space and unmarked Chelsea players on the other side of the pitch. We were undone inside twenty minutes when a series of attacking moves saw a shot diverted by Coady. A difficult game had just become even harder. We responded really well however in the rest of the half. It is hard to say we played well, when we had so little of the ball, but a block by Bennett and tip over the bar by Patricio, meant we were still in the game. Chelsea missed two good chances early in the second half which would probably have killed the game off. Around the hour mark however the game, and perhaps our season as a whole, took quite a turn. MGW did well in midfield to retain possession and played a perfect through ball that just begged to be hit first time. Jimenez did just that and Molineux erupted. The din had hardly subsided when Jota failed to make the most of a chance before the ball was recycled to the other wing only for Doherty to cross perfectly for Jota to score. Finally he had broken his duck, and 30,000 of us could hardly have been happier. Two strikes on target, two goals, how clinical are we in front of goal! See, there was a lot different about this game. The fouls, the yellow cards, the substitutions, all made the rest of the game drag on and on, but we held on. Three hard earned points. The sight of Nuno being more animated than in any other home game showed how important the win was. Who played well - and who failed to impress? Patricio dealt well with all the shots he had, with one excellent effort while his distribution was also good. Doherty was on the end of several long passes and he improved greatly after the opening twenty minutes. Vinagre again showed a good turn of pace and willingness to get well forward in attacks which does carry some risk when possession is lost. Bennett - we now know why he was rested at Cardiff. All part of the plan! No one will keep Hazard out of the game for ninety minutes but he did a magnificent job. Being physical and getting as close as possible to nullify the threat. All of a sudden he is our go-to guy for long throws too - even assisted by strategically placed towels. Although my heart says MGW, my head says Bennett was man of the match. Boly again started poorly with his distribution but from then on he did well and put in several telling tackles. Coady did what Coady does. Obviously it was a tough game but he stood up to the test well. Moutinho showed more energy than in recent games - let's be frank, we needed him to. He put in a good shift. Saiss seemed to take a while to get up to speed, back in his familiar midfield role, but chased and harried throughout the game, while walking a tightrope after his booking. Jota had a good game, showing more of what we know he is capable of. Lets hope he gets confidence from this performance. Jimenez saw little of the ball at times but looked more positive when he was involved, taking his goal well and also getting a header in during the first half of little Wolves attacking. Gibbs-White could hardly have had a harder game to start in. He was excellent, showing great resilience and a strength on the ball that some more senior players could do well to copy. He is being well Managed and received an outstanding ovation. The bench provided some surprises with Traore not brought on. Instead Costa had twenty minute, where he was often frustrating when in possession. Dendonker and Cavaleiro had a few minutes to provide fresh legs and energy to see the game out. What's your verdict on the match? Well obviously we were going to do it? I had us down for victory all along. No! You’re lying! My wife continually ‘I told you so’d me on the way home and it was beautiful to hear. You see, this team hasn’t really had to convince us that they are capable of something up until this point. Questions were being raised and they’ve been answered. 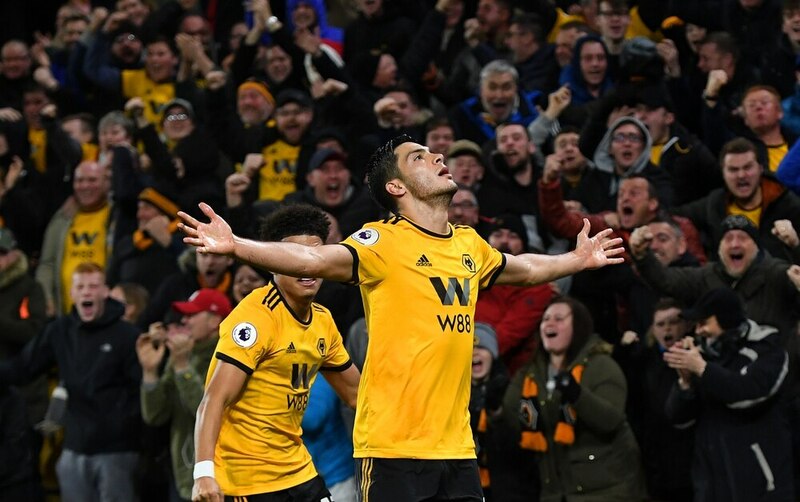 Not necessarily by the performance - this wasn’t a Nuno performance for the ages by any stretch - but by the character, the guts and the will to win. I wrote rather scathingly last time out about Cardiff and I was called out by many a Bluebird about our ‘poncy footballers’ and it was hard to disagree that we were a soft touch in that game. Not this time. Wolves ruffled so many feathers last night that Chelsea were ready for skinning and roasting for Christmas dinner. We weren’t at our best in terms of chance creation, or even defensively, but a hint of emotion, drive and pure force of will got us to victory. Let’s get back on track. Who played well - and who failed to impress? It’s difficult to pick out any individuals, but having come in from the cold last week Romain Saiss has been excellent. I always worried about his ability to produce on the hoof after a spell out of the team but he looked right at home, with plenty of Chelsea attackers in his realm, ready to snap away at. His passing was also as cultured as anything Ruben Neves has produced this season. Of course Morgan Gibbs-White will attract much of the attention and I’ll allow everyone else to wax lyrical, but the other teenager in our ranks Ruben Vinagre put in a real battling performance, up against one of the best full backs in the world in Cesar Azpilicueta. And finally, Diogo Jota has his goal. He still lacks a bit of the sparkle that he arrived on these shores with and some of the individual performances from the start of last season feel a long, long time ago, but you could always rely on him for a goal. Thankfully he produced and his confidence will be restored fully soon. What's your verdict on the match? That was more like it!!! Over the past few weeks I have been growing more and more frustrated watching Wolves. They have looked so clueless going forward and I really began to worry for our season. The frustration always stemmed from knowing the calibre of our squad and how little we were exploiting our strengths. We had looked a shadow of the team I was expecting this season but we finally saw a glimmer of that team back last night! I always go in to these sort of games with a quiet optimism, as we all know we have been known to get results from the big teams in the past. I can’t say however I was that confident going into the Chelsea game, I fully expected us to play better but I was almost certain our lack of composure up front would continue to cost us! The changes to the team were spot on, as I’ve said for weeks Morgan Gibbs-White has fully deserved his start and boy did he no disappoint. Saiss moving into midfield and the return of Bennett both welcome changes in my eyes. We started the first half well and as expected we were giving Chelsea a good game. We were really unlucky to go behind and did not deserve it. Going into the break we had really shown what we could do, if you just looked at the stats I think you would presume Chelsea were all over us but it was far from it, we matched Chelsea all over but without a real attempt on goal I did presume it was going to be a case of so close yet so far! The second half started with Chelsea looking almost certain they would double their lead and cement their victory. Boly struggled at times to control Loftus-Cheek and Morata especially but overall the defence was strong throughout even with a few heart in mouth moments. The defensive moment of the game has to go to Ryan Bennett. With Willian looking certain to seal Chelsea's victory Bennett came from absolutely nowhere to put one of the best timed blocks I’ve ever seen - superb! After about ten minutes of the second half something switched in Wolves and we came alive again. Jota had become pretty much non-existent in my eyes in recent times but he looked completely different, bounding forward with plenty of energy and CONFIDENCE!! It wasn’t long until our hard work paid off, Gibbs-White with one of the most perfect crosses I’ve seen in many many weeks to find Jimenez who was in the right place at the right time... Again something that hasn’t been said in recent weeks for a great finish. We were drawing with Chelsea… Unbelievable… But what happened next was even more unbelievable! Not only did Jota take a shot but it was on target! 2-1 up and Molineux went insane!! I was fully expecting Chelsea to start turning the screw and at least equalise but even with a few dangerous moments Wolves continued to look the better team and saw the game out for an amazing victory. Highlights of the game? Gibbs-White's performance throughout - a real star in the making that fully makes me question what I was playing at when I was his age, the surprise addition of Ryan Bennett's long throws…where have they come from? And of course, the introduction of Dendoncker - mainly because I was starting to wonder if he existed! Who played well - and who failed to impress? After a few very poor performances it is nice to have a number of players that could be man of the match. Obvious stand out performances for me would be Diogo Jota who just looked a completely different player to the start of the season. As well as his goal his whole performance was superb - it will hopefully do wonders for his confidence now. Ryan Bennett also had a great game, tough at the back and with an added secret long throw he surely cemented his place in the team. I think though for me Morgan Gibbs-White just pipped them to the post. He was exactly what we needed in the team and sparked a real bit of life into our game. Such a talent not only for the future but for right now! Hopefully he can retain his spot for Sunday. Overall it was exactly the sort of performance we knew wolves could produce, we again showed that we do belong in the Premier League and not just struggling for survival but as a well organised and respected side. As I mentioned after the Cardiff game I fully expected a better performance against Chelsea because of the way they play and the space it would allow us however what was really great to see was the confidence the team played with, especially those up to now that have been struggling. I really hope this is the kick we needed to get us back in gear, Newcastle will be a tricky game on Sunday but if we put in another performance like that we are in with a great shout of three points. I love you again Wolves! What's your verdict on the match? An incredible night at Molineux and what a way to end the poor run we were on. After Friday everyone was deflated and looking down the table rather than up, now, after beating Chelsea, we’re all looking forwards and back up the table again, football eh? You would never have thought we had lost five of our previous six after watching the game because it was like a complete different team from the Huddersfield and Cardiff games. Fair play to Nuno though, he made a few tweaks and changes to the team and system which worked a treat in the end. Never thought I’d see us employing a long throw-in tactic but I’m glad we’re trying something else as it’s something that could cause problems for the opposition. We competed in the first half without really creating too much but we nullified Chelsea and they didn’t create many, if any, clear-cut chances. Their goal was unfortunate for us, Coady as a defender is automatically going to try clear it and unluckily for him it’s spun off his head and past Patricio. 1-0 down and we all know Wolves rarely produce comebacks to draw, never mind win but at half time we were still in the game, although Chelsea were dominating the ball. Patricio’s save from the free kick and then Ryan Bennett’s tackle on Willian when he was clean through were both very important moments because if Chelsea had gone 2-0 up, it would have killed the game. Even in the first ten minutes of the second half, Chelsea looked fairly comfortable and maybe could have had a penalty after Boly went through Morata but the referee was shocking all game for both sides. Some of the decisions he made were very questionable, especially Vinagre getting booked when it wasn’t even a foul, he clearly won the ball. Then all of a sudden Morgan Gibbs-White picks up the ball, holds off Fabregas and beats him for pace comfortably, slides in Jimenez beautifully who then, from an acute angle, smashes the ball hard and low past Kepa Arrizabalaga. A few minutes later and Moutinho did brilliantly to get in front of Willian, and take the ball with such ease. He waited perfectly for the overlapping Doherty who drilled the ball across the box where Jota couldn’t miss. Great to see him get his first goal of the season. After that we saw the game out really well. We were unlucky on a few counter attacks and maybe could have done better on others but defensively we were solid and we made the second half ours. Who played well - and who failed to impress? Who else to start with other than Morgan Gibbs-White? First premier league start and up against a Chelsea side that had only lost once in the league prior to our game but he showed absolutely no fear. Even the run he did in the first half when he beat Ruben Loftus-Cheek and Cesc Fabregas, who are top players, with a lovely bit of skill. Whenever he had the ball he always looked like he was going to beat someone or create something. His assist for Jimenez’s goal was delightful, the way he just shrugged off Fabregas and slotted the Mexican in just topped his performance off wonderfully. 100 per cent has to start against Newcastle on Sunday. Jota looked like a different man to what we’ve seen for most of this season. Maybe the last international break when he scored two for Portugal U21s gave him some confidence as he hadn’t started for us since then until yesterday. He looked majorly up for it, getting stuck in and even his slide tackle on Kante in the second half at 2-1 just showed his tenacity. Fantastic to see him on the scoresheet for us once again and hopefully now he can kick on. “There’s only one Ryan Bennett”. His slide tackle on Willian at 1-0 was goal-saving and game changing, absolutely brilliant pace shown (which I have no idea where he found that from) and then timed the tackle to perfection. Massive credit to him because he was dropped against Cardiff which could have easily knocked his confidence back. If anything though it spurred him on even more to work harder to keep that right centre back position his and boy he did just that. It’s not easy to play against Eden Hazard and in the first half he was causing a few problems down our right hand side but he kept at it, as did Doherty, and in the second half the Belgian offered very little. The long throws from Bennett, aka Rory Delap, were breathtaking as no one had any idea he could bring that to the table, already looking forward to seeing them in action on Sunday. Moutinho and Saiss worked well together and maybe that presence in midfield from the Moroccan is something we’ve been missing. It’ll be interesting to see if Nuno keeps that the same for Sunday or brings Neves back in but for me personally, I think Saiss has to start as he was definitely something we’ve needed in the midfield recently. Raul Jimenez has scored or assisted 60 per cent of our goals this season which goes to show how integral he is to us. We’ve scored 15 in the league where he’s scored four and assisted five. Took his goal fantastically well on a tight angle and pressure from a defender too. Vinagre did a lot better than his last two games. Some of the crosses he put in were frightening for Chelsea and when he goes forward and runs at people he’s so fun to watch. Doherty who did have some problems against Hazard first half, like most right backs do against him, coped well in the end. Great ball for Jota’s goal and he’s now got his third assist of the season.